Finding somewhere to relocate to spend your retirement years can be tricky. The UK is brimming with acres of wonderful scenery and history waiting to be explored! If you have more time now to appreciate the serene surroundings of some of Britain’s most beautiful haunts, it may well be worth considering buying a park home. Park homes are simple, flexible, and easy to maintain. They are built to be enjoyed on a permanent basis! Therefore, once you’ve bought your perfect park property, it will remain yours to enjoy and cherish. These homes are built as part of their own private estates and are even protected by their own privacy legislation. Therefore, they can be considered much different from holiday homes in a number of ways. If the idea of buying a park home and settling down somewhere in the UK appeals to you, where should you start looking? Why not consider somewhere near the coast? For peaceful living with wonderful natural sights and points of interest stretching for miles around, there are a number of wonderful park homes in Dorset on offer. There’s little wonder why so many people choose to relocate to Dorset. Families and retired couples alike flock to the coast for that wonderful sea air, those rugged landscapes, and all of the fascinating, untouched history that lies in wait. 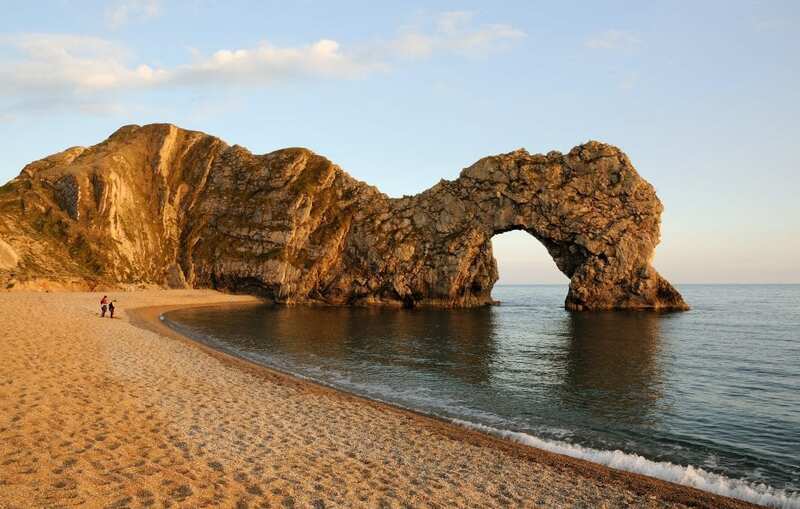 It’s a fact that just over half of Dorset has been branded an ‘Area of Outstanding Natural Beauty’! A great place to start if you’re interested in exploring some of the spectacular sights here will be to visit the official website of the Dorset AONB, which is home to some incredible inspiration. Why not contact them for some ideas? Or, you could just explore Dorset all on your own. The county covers a vast expanse of around 2,653 square kilometres and is currently home to just over 420,000 people (according to the last available census data). Therefore, this coastal hideaway has plenty of land for you to cover and plenty of new people for you to meet. If you’d prefer to keep things nice and peaceful, however, there are many different park homes you should consider if you are thinking of moving here on a permanent basis. We will cover the very best park home resorts for you later on in our guide! For now, however, it’s time to consider some of the specific reasons why you should make a move to Dorset. Never been to the county before? Interested in finding out more about what the area has to offer? If you’d prefer to learn about what’s in store for you before you get there, you’ve come to the right place. If and when you move to Dorset, you’ll find an incredible host of walks, leisure opportunities and other adventures just waiting to be unlocked. But what are some of the more popular reasons why people visit and move to the county in the first place? Dorset is, of course, famed for its golden sands. 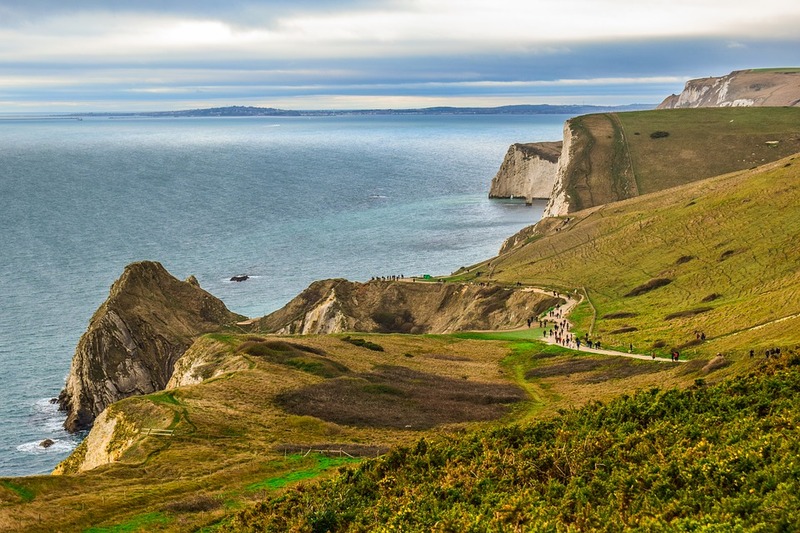 There are almost 100 miles of beautiful coastline waiting to be walked along and enjoyed, and you can take in the historic seaside towns of Weymouth, Bournemouth, Swanage, Christchurch and many more. The beach terrain and proximity to the sea also make for some wonderful leisure opportunities. There’s nothing quite like being by the sea. The air, the sights, the smells here – they are a wonderful world away from those you’d otherwise experience on the mainland. Seaside Dorset is seen as a perfect family retreat thanks to watersports opportunities – where people can dive into kite surfing, water skiing and much more. The bravest, too, climb the rocks around the rugged Dorset landscape. However, if it’s more your cup of tea to sit back and relax, or to take in a brisk walk or two, you can always explore the wonderful harbour towns and surrounding tourist areas. Dorset is a famously sleepy seaside county. While it does play host to an influx of tourists each year, there is a laid-back atmosphere here which is made all the more pleasurable thanks to that unique, salty breeze and the sound of waves lapping at the shore. For coast lovers, it’s a county you’ll want to come back to again and again. Or – why not move here? When we mentioned the rugged nature of Dorset’s natural surroundings, we weren’t putting things mildly! The county is home to the famous Jurassic Coast, a 95-mile stretch of terrain which is a recognised UNESCO World Heritage Site! The Jurassic Coast is so-named thanks to its miles of ancient rockery and terrain across extensive stretches of coastline. There’s thought to be natural formations and sites along the way which date back as many as 185 million years! Therefore, it’s a fascinating traverse for anyone who is more than a little interested in our country’s ancient history. The Jurassic Coast also takes in a number of quaint and much-loved towns and locales along the way. 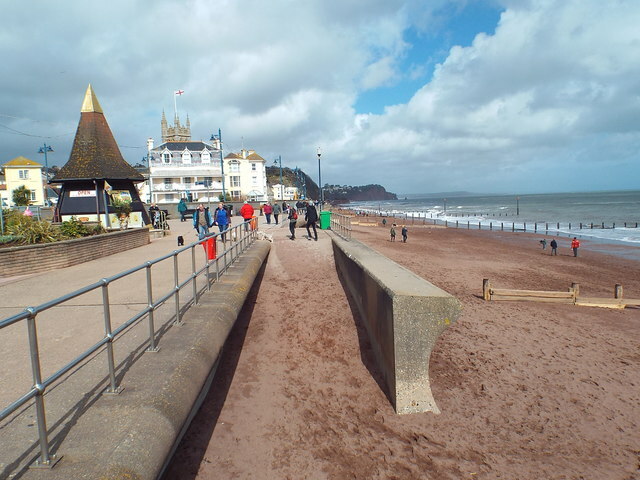 Humble Sidmouth, which sits beneath the famous Triassic red cliffs, is just a stone’s throw away from Lyme Regis, one of the most popular and historically important seaside towns in the south of England. There is also the world-famous Golden Cap, which is the tallest point on the whole of England’s south coast. It measures around 191m / 627 feet, and it proves to be a serene summit and sea lookout post like no other. There’s no better way to get a vantage point over the sea or the Dorset stretches beyond. You’ll be able to feast your eyes on gorgeous meadowland, wooded thickets and more. There’s a path that leads all the way up from Seatown – so be warned, it may be a bit of a trek for the uninitiated! Believe it or not, Dorset is also home to a number of famous spots where TV and film have been shot over the decades. This is largely thanks to the incredible landscape and cinematic sights which lie all around. Some of the most famous properties to have been filmed here include ITV crime series Broadchurch, and movies such as Far From the Madding Crowd, Dunkirk, On Chesil Beach and The French Lieutenant’s Woman. Author John Fowles – who wrote the latter – was, in fact, local to Lyme Regis, and set his tale there. It was adapted into a popular film starring Jeremy Irons and Meryl Streep in 1980. Therefore, you may well be walking across famous TV and film locations without ever realising it. It may be worth taking a closer look at Visit Dorset’s filming locations guide before you take to the trail! Heading inland, there are plenty of great reasons why you should explore the more built-up market towns and villages of Dorset while taking a break from the heady sea air. The county is home to wonderful slices of human history such as Dorchester and the aforementioned Lyme Regis, both of which – while having modernised with the times along the way – still seem as untouched as they were decades ago. These towns blend together stunning historic architecture with local food, drink and experiences for you to dive into. Dorset is home to many towns and villages which carry that classic ‘picture postcard’ feel. From the hilly stretches of Shaftesbury down to the unique river town of Blandford Forum, there are more than a few historic locales waiting to be enjoyed by all comers. The benefit of buying a nearby park home, too, means you can easily explore them all at your leisure with a permanent property to come back to at the end of the day. Think of it as like being on a permanent seaside holiday – an absolutely wonderful idea! If you think you’ve seen one market town here and have therefore seen them all, think again. There are plenty of locations to unlock which could take you years to fully uncover! It wouldn’t be a complete guide to Dorset’s wonderful attractions without mentioning the spectacular Moors Valley Country Park and Forest. This expansive park is home to scores of different family fun opportunities, as well as plenty of ways for you to relax and unwind. From special walking trails for leisure and fitness to cycle hire and lush, natural cycling trails, the Park and Forest provide for some wonderful recreational experiences grouped together in one handy place. It’s also home to famous hawk walks, where you can learn more about the beautiful birds of prey which live here from experienced handlers. If a spot of golf is more your idea of fun, the Park’s 18-hole course alongside the Moors River will appeal to novice and seasoned players alike. There is also the fascinating Moors Valley Railway, which boasts an authentic steam train and a chance for you to take in a 20-minute tour of the spectacular Moors Lake and surroundings. For many visitors and locals, Dorset living can feel a little bit like stepping back in time – in a good way! The county is home to over 12,000 listed buildings and its most popular towns, villages and haunts play host to ancient streets and monuments you’ll want to explore more than once. There are a variety of castles, forts and strongholds here which date all the way back to medieval times. Corfe Castle is perhaps the most well-known, dating all the way back to 1086 and with ruins still standing after years of defence against invaders. You can also take in the stunning Lulworth Castle and Park, as well as Sir Walter Raleigh’s Sherborne Castle, which boasts around 42 acres of incredible landscaped gardens. If you’re keen to sample some of England’s authentic castle grounds, this is the county to start in. Why not read Visit Dorset’s guide to learn more. If you’re keen to lay roots in Dorset for retirement, there are a number of wonderful park home estates for you to choose from, all of which provide you with links to some of the county’s most popular residentiasl sites on the Sell My Group website. Here are a few we think you should consider taking a look at if a move to the seaside county is on the cards for you soon! Holton Heath Residential Park is an expansive park home estate that’s nestled deep within the popular region of Poole. Holton Heath is a close-knit park boasting two-bedroom properties built with prestige design. It is run by family owners and is ideal for new residents of Dorset over the age of 45. It is a friendly, cosy community which is both peaceful and safe to come back to. What’s more, it is on the doorstep of some of Dorset’s more spectacular beaches as well as Poole’s famous quay. If taking in stunning sea views and meadowland sights from your home sounds appealing, you’ll want to make an enquiry at White Horse Park, based in Weymouth. Based around three miles from the centre of Weymouth itself, the residential park is just a mile from the beach by road. Choose from a variety of stunning two-bed properties with access to Weymouth’s wonderful harbour and golden sands just minutes away. It’s extremely well-positioned for all to enjoy Dorset, and the park is run by a family group who have been in the business since 1959! Also based in Poole, Organford Manor Country Park is a high-quality retirement estate designed and built by the Simmons family, who have famous roots in the park home industry. This is an immaculate park with a friendly, happy atmosphere and with close links to Poole’s centre. There are private gardens, dog-friendly areas and there’s even full servicing available! It’s a fully-gated community, which means you’ll experience optimum peace here. Want to know more about park home living or places to visit in Dorset? Take a look at the Sell My Group blog or the main website to explore some wonderful park homes in Dorset.